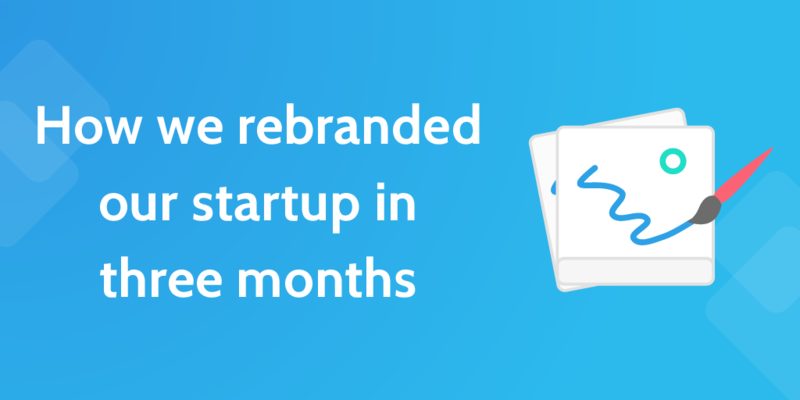 This post was written by Benjamin Brandall and originally appeared on the Process Street blog and is the story of how Cameron and I rebranded our startup Process Street. In the lifecycle of every startup, there comes a tipping point. For companies focused on aesthetics and creating something beautiful, there’s a time where the founders need to shift towards their product — look inward and think deeply about the problems it solves, who’s it for and how to refine user experience. For product-focused startups like Process Street, a necessary early shift is towards design. Ever been nervous meeting a stranger? Nerve no more! Impressing a stranger on first encounter can literally change your life. Interviews are a good example. Others include sales pitches, freelance consultations, partnerships, supplier agreements and even dates. They’re a necessity in life. So why not get good? If you know who you’re meeting, take 10-20 min to Google, Facebook, LinkedIn & Twitter them. Ideally you’re looking for information related to the topic of your meeting. But you’re also looking for personal information such as achievements and common interests. Look for media interviews & charity support. Do you both rock climb? Have they recently been promoted? Have they achieved one of your goals? 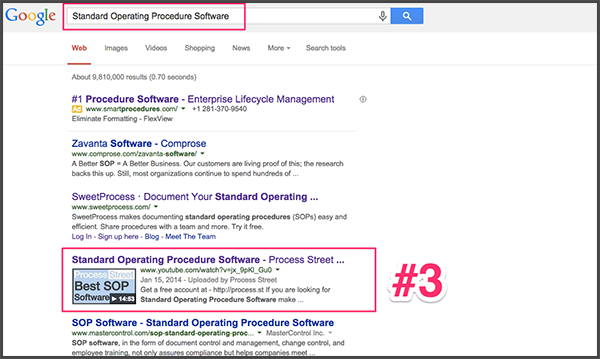 Also do company searches on the web, Google News, Twitter and in your CRM if you have one. To Agenda or not to agenda? If I set an agenda, what would be in it? Will I remember to do all of the above without writing it down? Will it benefit my prospect if I send them a copy? – If it will, send one. Consider adding a photo so they know who you are. Basically the agenda should add value to your stranger. Usually, more complex meetings have agendas. This gives your stranger time to prepare. Once you arrive at the meeting location – 10 minutes early – wait around the corner for 5 min then head to reception or the cafe to be seated. Arriving more than 5 minutes early can look disrespectful as opposed to eager. But most importantly DON’T BE LATE! If you think there is a 50%+ chance you’ll be late by even a few minutes, call and notify someone. It looks way better to call and say you may be 5 min late, and arrive on time, then if you arrive 5 min late without calling. After reception calls my stranger, I will stay standing until they arrive. Warning – if you take this road, be prepared for some long stands. But I feel it looks better than kicking your feet up on lobby couches. Sweaty palms? I hold my folder with my left hand and keep my right hand in my pocket –dodges the slimy handshake. Remember eye contact and a smile on greeting. Stand tall, chest out, firm handshake. If you’re in a busy lobby and you don’t know your strangers face, finding them can be awkward at times. Try and make the first approach, (it may take you a couple of times to get it right). Your stranger will be thankful for the awkwardness removal. Look for people looking for people. Exchange some short pleasantries then ask where they would like to go (unless there is already a plan). Don’t worry what they say – you’re just trying to keep them engaged until you arrive at the sitting location. Try to find an anecdote (maybe something that happened on the way in or earlier that day) or common topic (the offices, building, location, current event or last resort – the weather) to keep them chatting until the sitting location. Just try and avoid a long walk of silence. Also, avoid discussing any important topics during the walk, interruptions are common and will kill your flow. Personal Note: I like to treat all my strangers like a first date. I open doors, hold elevators and offer them the first seat. Don’t take this to the extreme but if the opportunity is there, unleash the chivalry (that goes for you too ladies!). This shows you’re attentive and will put in the extra effort if they partner with you. Once you arrive at the meeting table, wait for the person you’re meeting to sit down first (unless they offer you a seat – then just take it). If you’re already in a cafe waiting for them, stand and shake their hand when they arrive. Again, watch the sweaty palms, smile, eye contact etc. I usually like to sit at a 90 degree angle avoiding the formal face to face arrangement. This is not always possible but it makes it easier to look over documents together or to describe while writing on paper or using your laptop. Once seated, give a business card to each person so they know who you are, how to spell your name (useful if you have a weird name like mine) and how to contact you after. Do you do things differently? Making decisions is one of the most important traits of any leader and is something I have to deal with on a day to day basis as CEO of Process Street. The science behind why decisions are important is explained in Science says you should do your most important work first thing in the morning by Drake Baer. While we don’t always realize it, as we breeze (or slog) through our working days, we make countless decisions. Which email should I reply to first? Should I take care of this now or after lunch? The reason that we get tired at around 3pm isn’t just because our body is diverting energy from the brain to the stomach as it tries to digest your lunch, but also because we have decision fatigue. We take the path of least resistance. Things we would usually have given thought to, we dismiss. Judges are well documented when it comes to decision fatigue, and since our decisions might not be as impactful or obvious as a choice to send someone to prison for life, it’s still a real problem. Recently I was reading a post by Tomasz Tungz on how he discovered email snoozing boosts his productivity. This was interesting to me as I have recently adopted a couple of products that use the “snooze” function for managing tasks and emails. In the post, Tomasz mentions tools for snoozing emails including Dropbox’s Mailbox, Google Inbox and Boomerang. I personally use Boxer which also has the snooze feature, but this is not how I primarily use snooze. I use snooze on two different apps and actually use it for BOTH task and email management, not just email. Any.do is a task management app that I use to track my daily to-dos. This is my task dumping ground, I just have one main list and everything goes into it. The only separate list I keep is a shopping list that I share with my roommate and girlfriend. Besides that it’s kind of like an ‘everything’ list that I just dump stuff into. I love this approach of managing tasks because when I have something I need to do I can just throw it into the main list, this removes a decision I need to make as I dont need to choose a specific list everytime I add a task. I use Evernote in a similar way for dumping notes, screenshots, receipts and business cards. I still have spreadsheets on wishlist. Any.do then has a focus mode called “Any.do Moments” that lets me me go through all my tasks one by one. Any task that is past due or that has no date attached will pop up, and it will ask me to action the item either by completing it or snoozing it for a future date. This is a highly effective way of managing tasks as I can easily push back things that I think are lower priority. This way of managing tasks via “Snooze” is the most effective way of managing tasks I have found and is the sole reason I use Any.Do over other todo apps (that and they are an AngelPad company). Close is the CRM I use for managing my business relationships and for Process Street. Here is where I track emails, calls and notes specifically about other people. This includes customers, investors, partners, suppliers and other bloggers that we do cross promotions with. The Close inbox and snoozing features are actually brand new as of the writing of this post (Aug 2015) they have only been out for a couple of months but this re-enforces the direction of apps moving towards task snoozing. Close beautifully combines both tasks and emails into a single view allowing you to power through all your emails and tasks in one go. This is incredibly helpful for me as a CEO but I imagine it’s even more powerful for full time sales guys. Snoozing has been the most effective way I have found to manage both tasks and emails. It helps me action things faster and reduces the overall number of decisions I need to make each day. If you haven’t already, try adding a snooze button to your Workflow and see if it improves your productivity. What do Johns Hopkins surgeons, anonymous big-time investors and World War II pilots have in common? This isn’t the set up for a terrible joke but a demonstration of how widespread an often-overlooked tool is – they all use checklists to avoid disaster. For surgeons, disaster is a lethal infection caused by straying from proper precaution. For pilots, it’s crashing a plane that was deemed far too complicated to fly – the Boeing B-17. For investors, checklists avoid what is sometimes known as ‘cocaine brain’; the drive to make snap decisions on high-risk investments that often result in huge losses. For more information on a similar process, see Warren Buffet’s Investment Checklist. It details the steps taken by the man known as the world’s greatest investor prior to parting with massive sums of money. The Checklist Manifesto, written by writer/surgeon Atul Gawande, is proof that checklists really work (whether anyone wants to admit that or not). 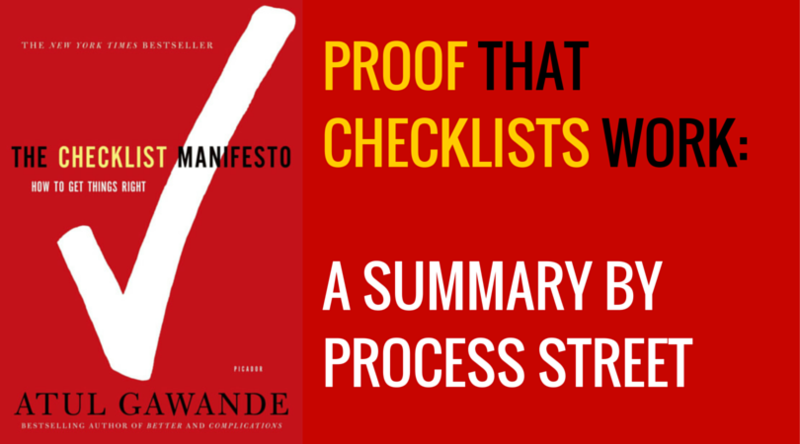 Check out the the Checklist Manifesto Review I wrote for more details. 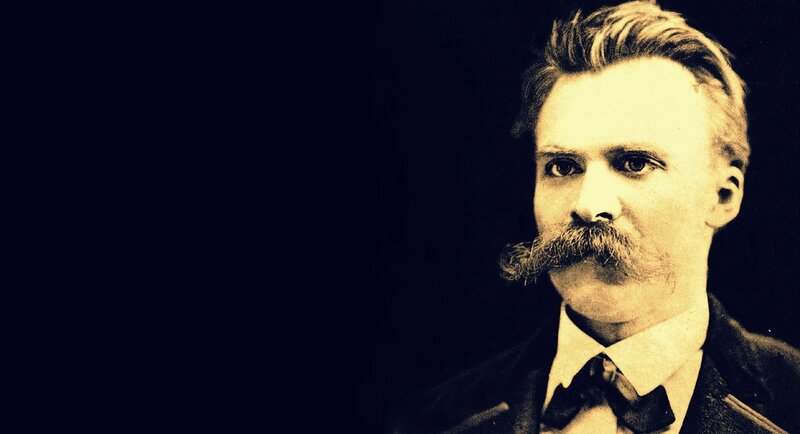 In his words, if another solution that could be even a fraction as effective would be a new drug or piece of technology it would be backed by billions of dollars, sponsored by the state and be the only thing the worldwide medical journals talk about. 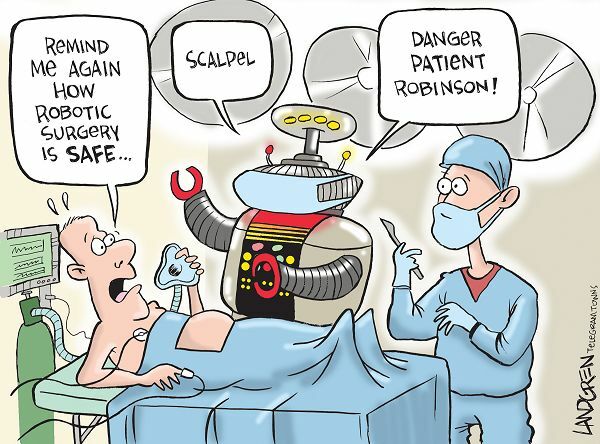 A case he cites is the development of robots to perform tricky laparoscopic surgery. It was widely backed and implemented in many hospitals around the US to the great excitement of the medical community. Positive results? Next to none. Checklists, however, are deceptively simple. The Checklist Manifesto is the tale of how Gawande took an idea first popularized by pilots into the operating theater and then out into the hospitals of the world, with the help of the World Health Organization. Not only does the book document his own research, but implementations of similar strategies, from hugely complex construction projects to Walmart’s innovative yet highly organized approach when dealing with Hurricane Katrina. In practical terms, ignorance can be corrected by answering the question “what do I do?” and ineptitude with “how do I do it?”. Checklists can solve both of these issues. They are great teaching tools that can be used to convey information simply, such as our Podcast Publishing Checklist, as well as highly practical, no-frills documents such as the B-17 checklist, one of the most famous of all time. An example that’s likely more useful to our world comes from one of the stand-out passages in the book where Gawande meets with three high-powered directors who meet to make venture capital investments in companies that have a slim chance to make a huge breakthrough. Since these investments are usually nothing short of gambling against terrible odds, this exclusive group of investors implement one very simple tool – a checklist. 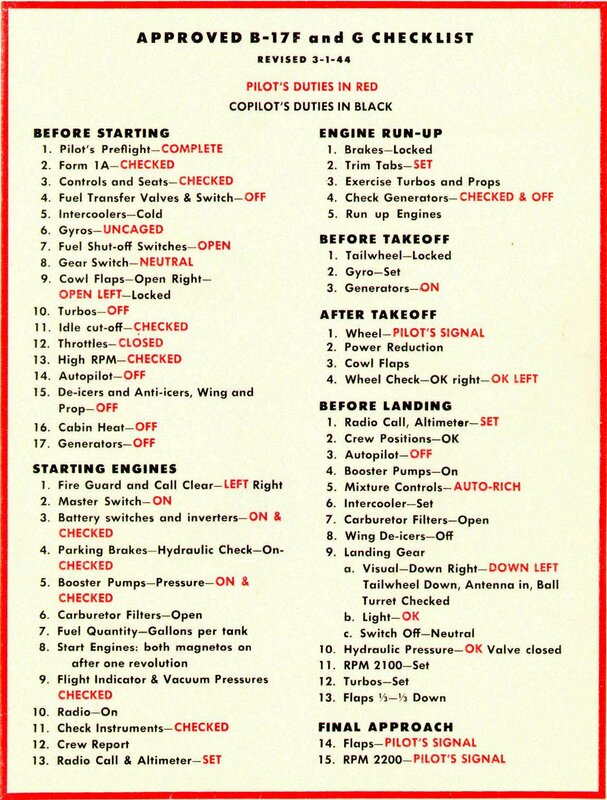 For them, this checklist is worth millions. That’s how much it has probably saved them by helping to avoid bad investments. This quote explains how Mohnish Pabrai, managing partner in Pabrai Investment Funds in Irvine, California, has taken the idea from medicine and aviation to use checklists in his work. “Pabrai made a list of mistakes he’d seen—ones [Warren] Buffett and other investors had made as well as his own. It soon contained dozens of different mistakes, he said. Then, to help him guard against them, he devised a matching list of checks—about seventy in all. One, for example, came from a Berkshire Hathaway mistake he’d studied involving the company’s purchase in early 2000 of Cort Furniture, a Virginia-based rental furniture business. Over the previous ten years, Cort’s business and profits had climbed impressively. Charles Munger, Buffett’s longtime investment partner, believed Cort was riding a fundamental shift in the American economy. The business environment had become more and more volatile and companies therefore needed to grow and shrink more rapidly than ever before. As a result, they were increasingly apt to lease office space rather than buy it—and, Munger noticed, to lease the furniture, too. Cort was in a perfect position to benefit. This cautionary tale shows what happens when a formal procedure isn’t in place when it really should be. The fact that the human brain is not so great can be proven by the amount of productivity tools, to-do lists, products like this, this and – when was the last time you forgot your baby in the car? – this. These are tools for the simplest things! Brain surgery, alongside rocket science, has the anecdotal title as being among the most complex and difficult tasks in the history of the world. They have a “my way or the highway” attitude since only their views are supposedly the right way to think. They refuse to see the big picture or another viewpoint, especially of those they consider “ignorant”. A man who fits the above description nicely. Does this sound like the sort of person who would be open to the idea of being told what to do by a checklist? That was the main problem Gawande ran into with the first large-scale implementation of checklists into hospitals worldwide. He notes how that the egotistical nature of surgeons plus the fact that checklists had to be read out by a subordinate created a large amount of friction among colleagues. He intended the checklists to promote teamwork in the same way we created our app to promote and streamline collaboration. One of the first stages of the process was a friendly introduction to help everyone get on and work as efficiently as possible, knowing each others names and duties; you’d be surprised at the amount of surgeries performed by teams who have never met prior to the operation and leave the theater none the wiser as to each other’s names or positions. It was basically through the process of long trials and repeated exposure that Gawande managed to create success for his checklists. After a while, people started to see results that were undeniable – checklists worked! “More than 250 staff members—surgeons, anesthesiologists, nurses, and others—filled out an anonymous survey after three months of using the checklist. In the beginning, most had been skeptical. But by the end, 80 percent reported that the checklist was easy to use, did not take a long time to complete, and had improved the safety of care. And 78 percent actually observed the checklist to have prevented an error in the operating room. Nonetheless, some skepticism persisted. “We are all plagued by failures—by missed subtleties, overlooked knowledge, and outright errors. For the most part, we have imagined that little can be done beyond working harder and harder to catch the problems and clean up after them. We are not in the habit of thinking the way the army pilots did as they looked upon their shiny new Model 299 bomber—a machine so complex no one was sure human beings could fly it. If you enjoyed reading the Checklist Manifesto, take a look at our checklist software built on the book’s great ideas. If you haven’t read it yet, you can buy the book on Amazon here. If you have, let me know your thoughts in the comments. I’d love to hear your opinion! I’ve been using videos to market our startup Process Street for the last few months and have been getting some great results with video bringing in a steady flow of views, leads and customers. Now, you might already be aware that video is an important marketing tool in today’s online world — that’s why products like PowToon exist — but the way I use video might be a little different. See, I’m not using video in a traditional sense of putting it on my website and using it to convert customers or explain ideas (although I do that too), I’m using these videos as pieces of content to rank in Google to bring in organic search traffic. Creating videos in this way is similar to creating blog posts or landing pages for SEO, but with some important benefits. 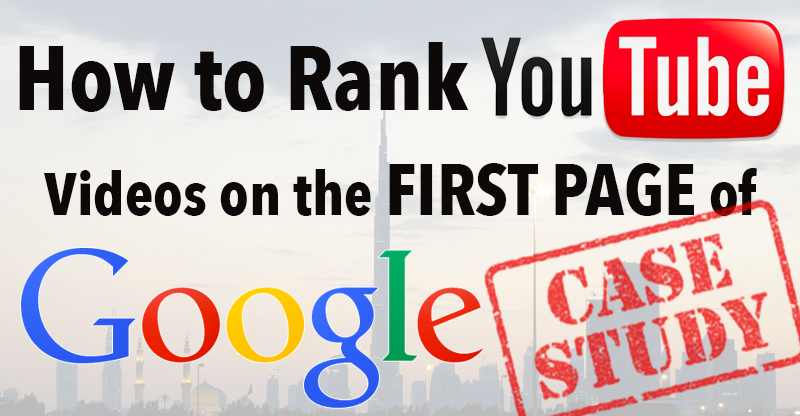 Firstly, YouTube videos rank well in Google. Like really well. Since YouTube is owned by Google, and is already an extremely high authority site, chances are that a piece of content you put on YouTube will rank higher than your own site, especially if your site is new and doesn’t have much authority. Posting content on YouTube also lets your content be discovered when people search YouTube, which is the second biggest search engine in the world, bigger than both Bing and Yahoo. Moreover, optimizing your videos to rank in Google automatically optimizes them to rank in YouTube too, bringing an additional traffic stream you otherwise wouldn’t’ve had. But what is really great about ranking in Google search is that it’s search traffic, the best kind of traffic for a product like mine, which is solving a very specific pain point for businesses. This kind of traffic brings us customers from huge enterprises which I otherwise would have had a hard time identifying and marketing to. The amazing thing about ranking videos for these kinds of keywords is that, even though they might not have a ton of traffic, they are VERY targeted visitors, people searching for that exact kind of product. I am not going to talk about how to make a video in this post. If you want to learn more about creating videos, I recently wrote a post on how to create a startup explainer video plus PowToon has a number of great tutorials on their blog. In this post I will show you how to optimize your videos and get them ranking for your target keywords. The first thing you should do before uploading your video is prepare you keywords, title and description. When ranking YouTube videos it’s good practice to target multiple long tail keywords in the video. This will bring in more traffic as you rank for multiple terms with just one video. 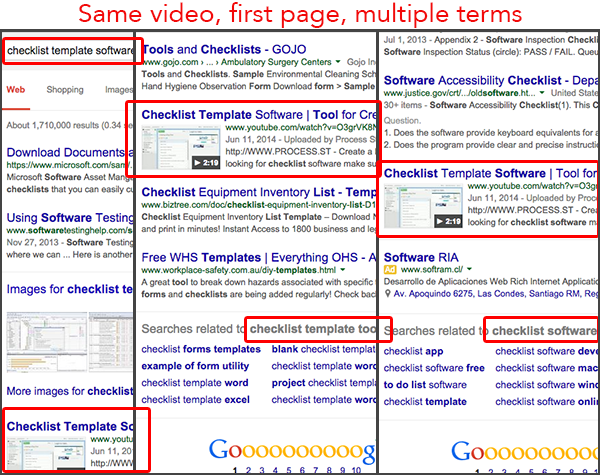 For example, this video I did on checklist software is ranking for Checklist Software, Checklist Software Tool and Checklist Template Software. You should find a keyword to target based on the content of your video. This is pretty easy: type a few variations into the AdWords Keyword Planner tool and find the one that ranks the highest. There are a few tricks you can do to find keywords that have low competition, but for the sake of this guide I am going to a assume you already know what keyword you want to rank for before you created the video. Once you have your primary keyword, it’s time to get to work building a list of secondary keywords and constructing a title and description for your video. Below is a video I made for a friend teaching him the process of keyword research and constructing the title and description. In the video I walk through two example keywords “Tree Removal Miami” and “Electrician Miami”. The video is an over the shoulder of me doing it, and runs about 30 minutes if you need a detailed explanation. Take your primary keyword and put it into the AdWords tool, then pick 3-6 other keywords that have the highest search traffic and are related to your product. You can also use Uber Suggest to find the most common searched for terms after your keyword. Use the keyword list to construct the title. Weave in as many of the keywords as you can with the title still making sense and not looking like spam. The description should include ALL your keywords, woven into legible paragraphs that again don’t look like spam. Low Cost Emergency Tree Stump Removal Company in Miami FL. Get lowest cost services on your emergency tree removal. We guarantee the lowest tree removal cost in all of florida for tree stump removal. Contact us today for a free quote from the most reliable tree removal company in Miami FL. 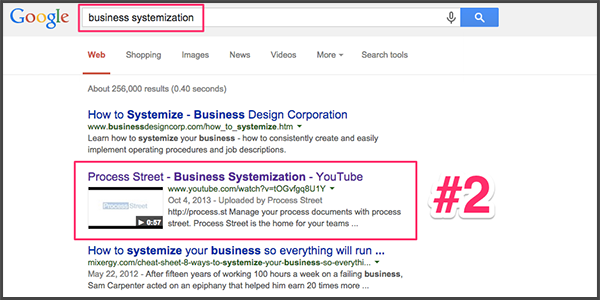 For the video tags, just copy and paste in your keyword list. Easy. I haven’t tested these myself yet but so far I have been able to get to the first page of Google for a number of terms just using the methods above of optimizing the Title, Description and Tags then doing the off page optimization steps outlined below. Now your video is uploaded and optimized, it’s time to start ranking it. Ranking a YouTube video is pretty similar to ranking any website where the main ranking determinant is the number of backlinks you have pointing towards that video. YouTube has another factor however and that is the number of websites that have actually embedded the video, making it slightly different to creating backlinks for traditional websites. Below are the strategies I use to rank my videos on YouTube. Keep in mind that these are not all the strategies that exist, and that there are many ways to get backlinks and embeds. Onlywire is a service that lets you manage over 30 web 2.0 properties from one control panel. It’s awesome to get a quick backlink shot of 20-30 links to any post or video you publish. Submitting your video to Onlywire won’t move the needle much but it takes just a second to do and the more links the better. I use Onlywire quite a bit as I use it to build links to every Web 2.0 post, guest post, video, forum post, profile, etc. that I create. This is a really easy way to get a quick link boost. I talk about submitting to Onlywire a lot in the rest of this post. This is not a necessity though, merely a shortcut. There are other social tools to help you manage various social networks, or you can simply submit to them manually for free. However, Onlywire is the easiest tool I have found, and it’s what I use in my business. Create a blog post or landing page on your website. A general rule for a landing page is that it should have 300-500 words of unique content. The keyword should be included in the title and the body. The keyword should be linked to the YouTube video, the video should be embedded onto the page and you should also link out to an authority site. 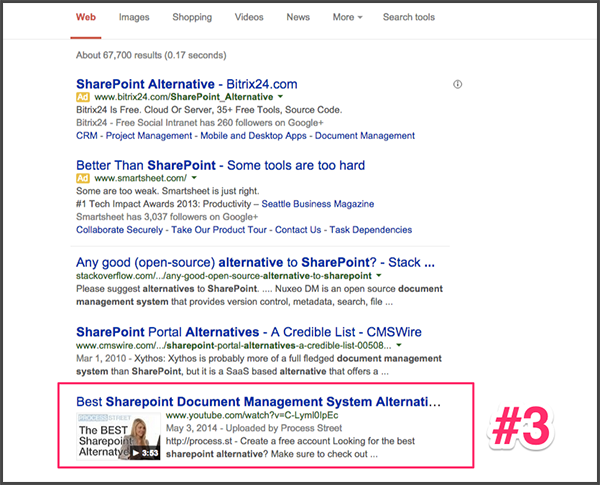 To beef up the page further, add the keyword into an h1 tag and as the alt text of an image. This formula should be followed when posting anywhere, including your site, other blogs you own, or Web 2.0 sites. Once you have published your post to your site, don’t forget to promote it. Submit it to social bookmarking sites, Onlywire and across the web. If you are looking for more places to promote your content, try this checklist. Create a blog post on a personal blog or other site you own. If you don’t own any other web properties, now might be a good time to create a blog. Having a second web property such as a blog is a great way to get additional exposure and backlinks for your videos. I have a few older blogs that are still around and have some decent authority so I use them to write posts and embed my videos in, like this one I did on standard operating procedure software. Once you have published your post to your blog using the same format as above, submit it to Onlywire. Company profiles and business directories are another great way to get embeds for your video. Depending on your niche you can embed your video onto your LinkedIn page, Angel List profile, or Yelp listing. These are great quick ways to not only get backlinks to your videos but also to generally increase your branding as a company. Remember to submit your profile pages to Onlywire to get some secondary link juice. Write related guest posts for other sites and find meaningful ways to link or embed your videos into the guest post. This is one of the most powerful ways to get links to your videos. In fact, I am doing it right now with this post. Another example of a guest post where I embed and link to a number of my videos is this post I did for the Startup Chile blog. Remember to promote your guest posts too! Submit them to social bookmarking sites and Onlywire. Another great way to get embeds, links and views for your videos is to publish them on your Web 2.0 sites like the ones listed below. Use the same format as when submitting to your blog or website. There are a lot of different Web 2.0 sites available, and it can take a bunch of time and resources to post on all of them, so I have broken them down into Tier 1 and Tier 2 sites. Start with the Tier 1 and, if you have the time, keep posting onto the Tier 2 sites. Whether you are posting on Tier 1 or Tier 2, every time you create a new post, make sure to submit it to Onlywire. As you continue to write content, do presentations, post on forums, etc., remember to keep linking back to your videos when you can. The more links you can get back to your videos the better they will rank over time, so keep on plugging them wherever you can. If you do the linking optimization tips above and actively work on generating links and embeds to your YouTube videos, they will rank in Google and bring in a targeted, free flow of traffic. Tell us about your YouTube ranking experiences in the comments below! Explainer videos are short 1-3 minute videos that help spread your message and teach people what your product and company is all about. A startup video can help explain difficult to understand concepts and, if you’re lucky, can go viral and give you a bunch of traction — as was the case with Dropbox. There is a huge benefit to being in control of your own explainer video. The first and obvious benefit is cost. Doing it yourself is much cheaper than hiring a professional firm like Revolution Productions which can charge between $500-$20,000 for a video. Not that these companies don’t have their place — a great explainer video can significantly boost your conversions and sales. But be careful investing that kind of money into your video before you have product market fit and some traction. Double Ninja Tip: Add an annotation to your video telling people they are looking at an “old version of the product” and linking to your homepage. This will significantly increase click throughs to your site and will give you some grace if your early videos are lower quality. With that being said, let me get into the details of how I made our explainer video. A “problem, solution” video is similar to the one I did for Process Street. State the problem your customers are facing then show how your product can solve that problem. Here is another problem-solution video by Zen Cash. Neil Patel at Quicksprout wrote a great article on how to write a script for your explainer video, check it out here. If you want some inspiration, check out Startup Videos, they have 100+ pages of videos you can browse through. If you don’t want to spend that kind of money on a microphone just to do one 2 minute video, you can easily pay someone on Elance to record it for you. The quality will be better and it will be MUCH cheaper. For $20-50 you can get a 2 minute video recorded. Just post a job looking for voice talent and you will get a bunch of applications from real professionals who have done commercials for Fortune 500 brands. They will submit their ‘demo reels’ from which you can decide on the type of voice you want. For most people, paying a specialist is the way to go. I think the audio quality on my video is the major weak point. While it’s still pretty good (I’d give it an 8 out of 10) it’s not AS good as professional voice over done in a studio. One benefit of doing it myself is that it is easier to make changes when needed so it really depends on your situation and what you want. For the Process Street video, I broke it down into two elements, animations and screencasts. I then decided which screencasts I wanted for which parts of the script. For inspiration on animations, I turned to VideoMakerFX. I basically browsed through their templates looking at kinetic words and clips that I thought would fit into my script. Animations in startup explainer videos are very popular these days. For the Process Street video I used VideoMakerFX, a great tool that makes it simple to create cool-looking animations. It has hundreds of pre-designed animations targeted at explainer videos that you can easily customize the look of, changing the text, colors, backgrounds and animations. VideoMakerFX costs $97 which is relatively cheap compared to paying for a professional video. It lets you create as many videos as you want, and you can even use it for other videos, like this one I did on how to create a blog. A screencast video is basically a video recording of your computer screen. Screencasts a great way to show off your product, they speak a thousand words when trying to convey features in the short time-frame of your explainer video. I make a lot of screencast videos, they are great for demo and marketing videos. I use Camtasia to record my screen generally on a PC, but TechsSmith also offers a free product called Jing which lets you record up to 5 minutes of video. This is more than enough for a 2 min explainer video. A quick search and you will find a bunch of other free tools for screen recording on both Windows and Mac. For your screencasts, record the actions you want based on how you designed your script. Typically showing off various features of your product as the audio track explains it. You can speed up the video and add effects such as tilts and zooms pretty easily in most editing software. I recommend doing this, as a little bit of movement makes things look professional and hold the viewers interest. 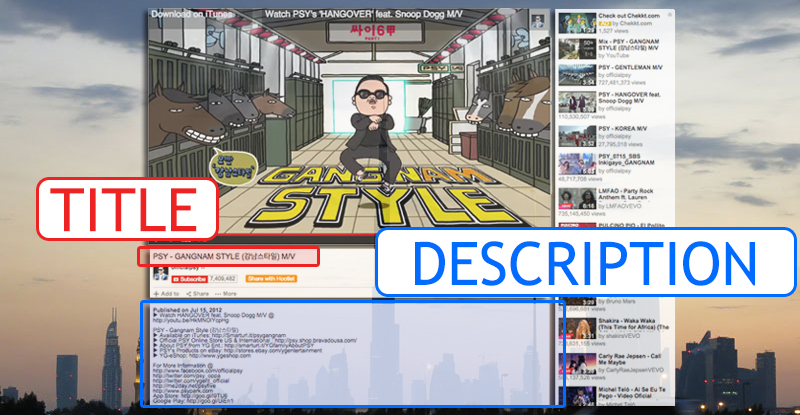 To polish off your video you will want to pick a music track to play in the background. A background music track will keep people entertained and give your video a consistent, less choppy feel. Pick something with a tempo and theme that matches your video and product. Don’t pick some overly fast happy music if you are selling a serious B2B product, and don’t pick a dull slow track if you have a cool, fun consumer product. If you want something more specific, the guys over at Envato have you covered again with their premium audio library Audio Jungle that has a ton of cool tracks you can buy for around $10 each. VideoMakerFX also includes a small library of audio tracks you can use for free once you own the product. That’s actually where I found the track for our video. To edit everything I used Adobe Premiere, part of the Adobe Creative Cloud. I already pay for Adobe so this was the obvious choice. I have also edited videos in the past using Camtaisa — it’s quicker for screencasts and the interface is easy to use. Otherwise, Windows Movie Maker and iMovie will both get the job done. All you need is basic scene arrangement, clip speed control and transitions. There are probably a bunch of apps on the iPad that can do this too, but I haven’t tested any of them. Don’t get scared by the editing part. Some of these programs can seem confusing, but really it’s quite simple. First, record your audio and import it into your editing tool. Next, add your screencast segments in the correct positions making sure to match up audio to the time of the clip (you will probably need to speed up your screencast clips to do this effectively). Then, fill in the gaps with animations or slides until you fill out the whole audio script. Once the animations match up to the audio you’ll want to do a few quality control runs before you continue further (with transitions, music, etc). Watch the video 2-3 times and look for things like thin lines around the edge, image quality and brightness consistency. If you are using different audio tracks (like a video intro for example) make sure your audio volume is level across the whole video. If you get stuck on any of these parts, there are plenty of YouTube tutorials teaching you the different controls in most video editing programs. Next, you should add a call to action to the end of your video. This should be fairly long, somewhere between 15-45 seconds. If you watch through my explainer video above until the end, you’ll see that I prompt the viewer to enter their email. This is important for two reasons. First, it tells the viewer what to do next, increasing conversions. Second, it stops the YouTube suggested videos from popping up and distracting your viewer with what is probably one of your competitors videos. Actually lots of people don’t use YouTube to host their explainer videos for this reason and instead opt for a service like Wistia or Vimeo. Personally, I like to host my video on YouTube until it is ranking for my target keyword, then either release a new video or switch it to Wistia. Once you’re happy with the core structure of the video, add your final zooms, tilts and transitions. Finish up by adding in your audio track, reducing the volume and fading in and out at the beginning and the end. But since I already own Camtasia and Adobe Creative suite, my cost was $279. And remember, I can use the microphone and software to create other videos so really the cost is even lower over time. If you use any of the above to create an explainer video for your startup I would love to see it. You can leave a comment or reach me on Twitter or Google+. If you want to see more posts like this, subscribe to the Process Street Blog. This post originally appeared as a guest post on the Startup Chile blog. One of the best ways to improve your craft is to check out what your competition is doing. If you get to know what’s working for everyone else (or at least the success stories), you can avoid many pitfalls when it comes to your own company. So, when I set out to find out how we could improve our sales and marketing cadences around 6 months ago, I knew that I’d have to gather data. A lot of data. By the time I was finished, I’d signed up to 281 SaaS companies (including the Montclare SaaS 250 and some of the top startups in AngelList) using the details of a fake Vodafone employee and analyzed the 1,000+ emails and voicemails I received in return. While I won’t go over everything I learned right now (we’d be here for days) I will highlight five of the core takeaways I gathered to help you convert more of the leads you generate. If you want the rest of the data (including a Slideshare summary and copies of every email and voicemail I received), check out Inside SaaS Sales – a site we set up specifically to house this data. Otherwise, read on! First up, you need to keep in regular contact with any potential lead who signs up. This both reminds them that you’re there and builds the connection they have with you. Although tactics obviously differed based on the company, the majority of companies (41%) sent us one email per day until they stopped contacting us. Other companies averaged out to sending one email per day, but instead took a staggered approach. A great example of this is Salesforce. Their team sent us two emails per day for the first two days, then one email for the following four days, and then one five days after that as one of their final touch points. This is a great way to strike while the iron’s hot (aka, when the lead first signs up), but to avoid drowning them in sales and marketing emails if they aren’t interested. Although most companies sent us one email for every day of their sales cycle, it’s important to make the distinction between marketing and sales emails. Too many marketing emails and the lead’s attention could be split between offers or they may not have the drive to take action on your product (depending on your copy). However, too many sales emails and most people will also be put off. Doing this makes your sales efforts very impersonal, and they will feel like they’re not being valued as a potential customer. That’s why sales teams on average only sent one email every two days – the rest were marketing emails. Assess whether the lead’s value is enough to warrant the time and effort to reach out and call them. If so, it’s also worth your time to leave a voicemail if they’re unavailable or don’t answer. I’ll say straight-up that not every lead is worth following up on in this manner (the resource investment can be massive depending on the number of leads and size of your team). A massive 74% of companies analyzed didn’t leave voicemails, which gives a clear picture of the kind of investment we’re talking about. If you’re not sure whether voicemails are for you or not, compare the resources you have to the potential gain from the lead. Does your sales team have time for another call? How much would a call effectively cost in terms of time spent and the sales rep’s wages? What would such a call prevent them doing, and how valuable is that action? Also, don’t forget to look at how successful voicemails have been for you in the past to get an idea of how likely the gamble is to pay off. If you have a lead that’s worth voicemailing, it’s also worth sticking with that lead for longer. This was shown by the sales cycle of companies who left voicemails being 160% longer than those who didn’t. In other words, if these companies left a voicemail, they kept trying to convert us for 1.6x as long. Now, I know that this data could be due to a number of reasons. It could just be that the companies who had the resources to leave voicemails just had a longer sales cycle. Maybe a few took special exception to us since we were a high-value lead. Either way, if you think that a lead is worth the investment to leave a voicemail after failing to call them, then chances are you have the resources to stick with that lead for longer. You’ve put the work in, so don’t throw it away at the slightest resistance! Marketing automation is a fantastic way to save time and money – it lets you queue up your emails long before they ever go out and is an absolute must-have for any team looking to scale. Any kind of business process automation is vital for those looking to grow quickly without running a major risk of imploding. However, to back up the point, a massive 67% of companies used marketing automation to send their emails. An even more shocking 39% only used automation – there were no salespeople involved. In short, if you’re not using some kind of automation to take the strain off your team, you’re missing one of the biggest shared tricks in SaaS sales cycles. While all of these points are useful, if you only take one thing away from this post today, take away this. Don’t make mistakes that someone else has before you. It might sound simple, but this simple principle will take you a long way in almost anything you do. Whether you’re looking for a way to improve your sales cycle or you’re trying to build a blog, do your research beforehand and search for what others have to say on the subject. Someone out there will have published their own experience on the topic, and learning that takes you one step closer to success. Effectively using email to connect with your customers is an important part of being a SaaS company. When someone signs up, you want to reach out to show off what your product can do, or tempt someone into upgrading to your premium service. We know this all too well, and we know how difficult it can be. With low open rates and even lower click through rates, email can sometimes seem like a daunting area to focus on. This is why we conducted a study of how top SaaS companies approach their email marketing and sales. In partnership with PersistIQ, we looked at the sales cycles and drip marketing techniques of 281 top SaaS companies, analyzing 1183 emails in the process. We compiled all the emails into a searchable database at first but decided to make it a bit more user friendly for people to browse by turning it into the microsite Inside SaaS Sales. You can hop on there to search by company and view their emails; analyzing their approach. Our tip is to find a few companies like yours – i.e. with similar business objectives – and work out why they’ve created and structured their emails in the way they did. But there’s only so much we can learn from one email at a time. What trends can we find in the data? What sales cycle takeaways do we have? Companies tend to be persistent. While avoiding sending emails on weekends, the average period of a sales cadence is 9 days – just short of two working weeks. Some companies tended to stray quite a distance from this average. Salesforce, for example, took 1 month before giving up with their outreach. While a company like Slack, where each customer tends to be of less value to the business, hit the 9 day mark square on the head. In that opening flurry of emails, the SaaS company doesn’t want to overdo it and scare you the customer away, but they don’t want you to move on either. Looking at the two previous examples, Slack send the first 4 emails over the first 5 days with the final email coming on the 9th day. That pattern of sustained outreach initially followed by quiet rare reminders is mirrored by Salesforce’s approach, even if their cadence is longer. Salesforce send two emails a day for the first two days and one email a day for the following four days. The last email in their cadence comes over a fortnight after the penultimate. This pattern can be seen across the data set and suggests that a sprint start is preferable to a balanced campaign. Automation is huge at the moment, and not just in marketing. We’re slowly walking into a world where computers are performing an increasing number of our tasks. In the report Four Fundamentals of Workplace Automation from McKinsey, they predict that 18% of a marketing executive’s working time could already be automated by existing commercially available technologies. And that report is about 18 months old. Zapier have integrated with an extra 500 companies since then! Typically a company will have two contacts and at least one of them will have a title which is geared toward bringing in new customers: Sales (35%), Business Development (18%), or Marketing (18%). It’s not unusual, however, for a company to reach out from a different member of staff – something which puts a friendly face on the company. Like the CEO or Founders themselves (7%) or a Customer Success (6%) person. This kind of internal branding could add a little more positive to the mix, maybe? If a company leaves voicemails, the sales cycle length is usually 160% longer. This shouldn’t come as a surprise because voicemails are indicative of a high touch sales approach. This involves a lot more effort and a lot more commitment from your sales team. Generally, a company like Slack has no interest in sending you voicemails. Yet, a company like Epicor – who provide serious industrial services in a high value specialized niche – knows that their market is smaller and each lead is super valuable. Used by 49% of the sample, Mailchimp is the faraway winner of the email marketing software battle. Up in second place is Marketo at 21% with HubSpot biting at their heels on 19%. The rest come in a little further behind with “other” coming before (in order) Eloqua, Tout, Sidekick, Pardot, Marketing Cloud, Sable, and Sendgrid. Mailchimp is very easy to use and they’ve offered useful automation elements for a while now. It’s surprising to see how far ahead they were in terms of usage amongst industry leaders, but it’s a compelling sign for anyone searching for an email marketing tool. It’s very easy to write an article online about how you should approach your email marketing. You’ve probably read loads of these articles. I know I have. But often these articles are written without the expertise for your particular needs. The expertise you need to listen to and learn from lies within the businesses with whom you share business objectives and demographics. Hopefully, we can help you cut the bull and check out what the real big players do, so you can learn from them. Let me know how your company approaches its email marketing in the comments below! Making connections with influencers isn’t just for fashion blogs and trendy Instagram accounts. You’ll need a ‘way in’ no matter who you are or where you’re going. Whether you’re looking to write for big publications, get a boost to your social shares, improve your SEO, or just get on the radar of a blogger with a big following, you’re going to need to start somewhere. In this post, I’m going to go through the process I used to write for TechCrunch, get guest blogging slots, and build relationships with social media personalities. It all boils down to a repeatable process with just a few points, and takes very little time or effort. An easy way to find influencers is to use Buzzsumo’s Twitter influencer search. By typing in a keyword relevant to your niche, you can find editors, bloggers, and broadcasters that you can leverage to get more exposure. Alternatively, you can find publications in your niche and then find who’s responsible for content submissions and editing there. Since this is a social-focused technique, the next step is to follow the influencer on Twitter and add them to a Twitter list. Now you’re set to get on with the rest of the process. The first part of the interactions after getting started is to retweet two articles. This should be done over time, either with Buffer to Buffer the retweet, or manually by checking back. To stand out, you can even add a comment inside the retweet, like above. The more you say to start a conversation, the better the outcome will eventually be, and the faster you’ll get to a comfortable stage where you can reach out personally and offer help / make an ask. The comments section is an excellent place to interact with bloggers. It’s their home turf, and every blogger loves getting comments and responding to them because it means their work is being read and they’re not just writing into the void. Even if they get a lot of comments already, more can’t ever hurt. Especially if you say something more worthwhile than other people. Overall, a thoughtful, conversation-starting response is the most important thing. Since you’re subscribed via RSS, you can easily keep to date with what’s being posted and just take a little time in the mornings to read it on your phone and comment. I don’t often get my work shared on LinkedIn, but when I do it’s usually by someone who’s got an active following there and I remember the occasion because my Twitter feed is flooded, but my LinkedIn notifications update only rarely. The people who interact with me on LinkedIn stand out, and that’s a tactic you can try too. Like before I mentioned how you can Buffer retweets so they don’t go out all at once, you can do the same thing with social shares across multiple platforms. Buffer connects to Twitter, Pinterest, Instagram, Facebook, Google+, and LinkedIn. The influencer could be grateful you’re sharing their content on a platform where they don’t have as much presence. Do you know the most important factor that goes into an influencer deciding whether or not they’ll open your emails? The name of the sender is the most important factor to 64% of respondents, so if they recognize your name as ‘the person who I had a great conversation on Twitter with’, they’re way more likely to feel obliged to open and respond to your email. To make it simple, I’ve compiled an SOP you can run to do influencer outreach here. Make sure you’ve compiled a list of 10-15 influencers, and that you run one checklist for each influencer and work through the list. Using that method, you’ll find you get more followers on social media, more shares, better placement for guest posts, and more backlinks. And it all starts with a little work on social media, so I’d say the reward is fair for the work put in! Have you tried any similar methods or checklists? Let me know in the comments.